Presenting the perfect purchase for first home buyers! This two bedroom, two bathroom apartment comes complete with one car space and all the inclusions which make this a home. You’ll love the gorgeous floorboards in the living area and hallways while appreciating the comfort of carpeted bedrooms. 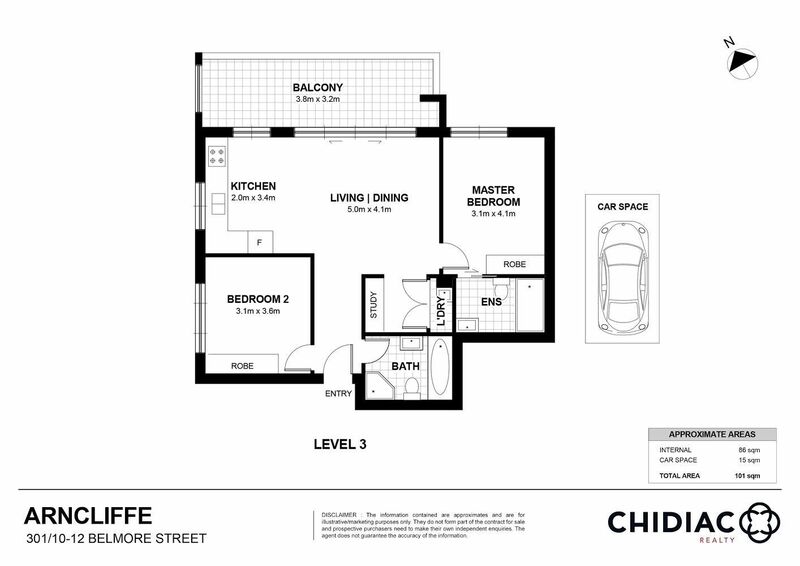 Enjoy the added space of a study area and large private balcony plus two spacious bedrooms, both with built-ins and an ensuite in the main. This apartment boasts incredible proximity to local amenities with Arncliffe Station, Bus Stops, shops and cafes just footsteps from your door. Take the first step towards your new home, book in time to inspect this incredible property by contacting Chedi Chidiac on 0448 301 339 or Alex Chidiac on 0439 555 999 today.